Bob Dylan a celebrated and influential artist and song writer in the 60’s wrote a song titled “The Times They Are a Changin”. Nothing can be truer these days; we are really in changing times in the business world. In this digital economy, only the businesses and entrepreneurs that are adaptable to change in their marketing strategies will succeed. One of such changes is the advent of social media which has led to the dependence on mobile and other web-based technologies in creating highly interactive platforms through which individuals, businesses, organisations and communities share, co-create, discuss and modify user-generated content through the internet. This new advent of business communication is quite different from the popular traditional media in many ways such as; the reach, frequency, usability, and quality. While the traditional media operates from one source to many receivers; the social media operates from many sources to many receivers. 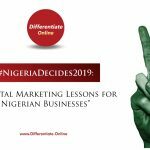 With this advantage, many smart businesses have shifted their marketing focus from the traditional medium of marketing and advertising to digital marketing strategy and advertising using different online new media platforms. 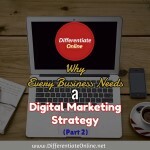 The question now is which of these digital marketing strategies will guarantee business success online? Have you ever wondered why Apple sells millions of its new products just in the first day of its release? Why some people wait earnestly for months, weeks and days to buy a new product from a particular company; it is the other way round for some companies. Their target customers don’t know much or anything about their products or new products. Even with all the marketing promotions and advertisements engaged by these companies, they still find it hard to penetrate the market successfully. The answers to the difference between these companies can only be found in two words; Push or Pull. 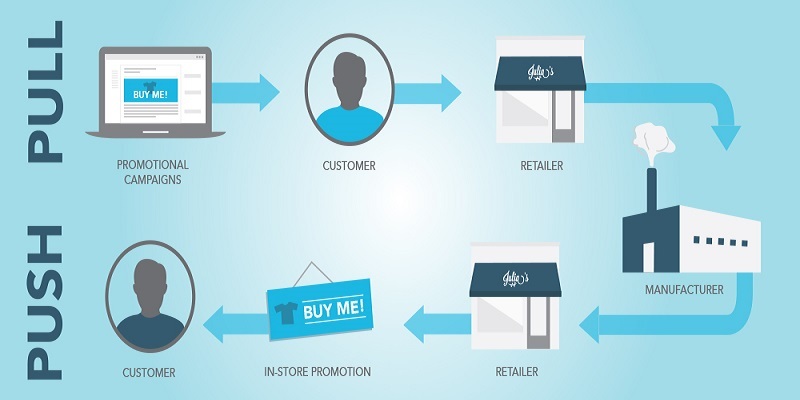 Companies who find it difficult to penetrate the market easily and successfully are using the push marketing strategy; while the ones with dedicated loyal customers and are heavily penetrating the market without stress have discovered the strategy of pull marketing. The idea behind push marketing strategy is to push the product in front of the people. That is, taking the product to the customer. Push digital marketing strategy is a one-way style of marketing in the sense that you are promoting your product or service in a way that does not often allow for feedback from potential customers. The truth is that most people have become so used to the strategies used in push marketing that they don’t want to be bothered again with it. For example people don’t care much about the content of unsolicited fliers and emails, frequent SMS or direct marketing effort you are using to get their attention. Therefore, to penetrate the market easily, more so in an digital economy as we have, a new marketing concept is needed. The pull marketing is a direct opposite of the push marketing. The goal of the pull marketing is to make customers come to you instead of you going “pushing” to them. In this social media age, the pull marketing strategy is the best and right form for market penetration. 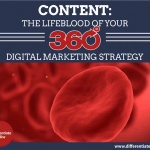 The pull digital marketing strategy is all about content marketing. Content marketing is the subtle digital marketing strategy of creating valuable free content online through the use of blogging, social media platforms, infographics, newsletter and search engine optimization (SEO) to attract and convert prospects into customers and customers into repeat buyers. 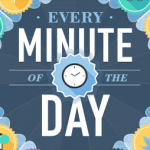 Using this strategy, the type of the content you share should be closely related to what you sell. Content marketing is also the subtle way to educate people about your product so that they know, like and trust you enough to do business with you. This is a public relation effort to reach out to potential or targeted prospects, customers and keep them engaged with you. The pull digital marketing strategy is less expensive than the push marketing, only that it is time consuming. i.e. it requires a greater investment of time; you have to be regularly available to engage with people on the social media. Therefore it is advisable you engage the services of someone to manage your social media platforms, write your blogs (Note every company and organisation that wants to succeed in this digital economy must have a website and a blog) in other to respond to people who leave comments or ask questions. This medium of communication creates room for feedback because it gets people talking which ultimately improves your product awareness and sales. With this method, customers are educated about your products and company. In this digital economy, it is content that drives the internet and consumers are looking for information that solves a problem and not an immediate advertisement that lays claims of what it can do. The trust and credibility that content marketing creates pulls customers rushing to your products or brand much more than direct marketing or advertisement can do alone. Therefore to succeed in today’s online business, companies and business organisations are advised to adopt the pull marketing strategy using content marketing. This involves constantly putting out valuable information about your products and services without any direct sales agenda. The contents created must be good enough to educate prospective customers about your products and services which will make them to know, like and trust your brand and must be able to influence and convert them into customers, and from customers into repeat buyers. 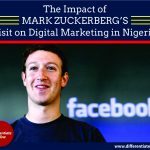 With this strategy, people who are following the valuable contents you share online using different social media platforms will in turn re-share your contents thereby increasing your products/services visibility online. The more visibility you receive online, the more people get to know your products and develop preference for your brand. The effective use of pull digital marketing strategy is highly rewarding. Customers get to know firsthand about your new products and services through your social media platforms, blog posts and email newsletters. They frequently come to your platform to know if there is any latest trend or development. They re-share your contents free at no cost to you. In conclusion, any company or business organisation that wants to succeed in this digital economy must master the art of pull digital marketing strategy using content marketing. In this digital and information driven economy, content drives the Internet and consumers are looking for information that solves a problem. Therefore any business that consistently puts out this information (content) online has laid the foundation for an everlasting success!